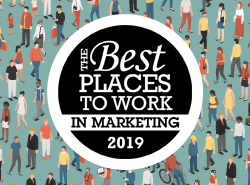 New research indicates that hiring to fill open marketing positions might take longer than you think. The upwards trend in martech spending will continue in the new year, but many companies still aren’t confident they’re getting the best bang for their buck. Are you so swamped with day-to-day work that you don’t have time to think beyond your daily to-do list? Here's three tips to help drive innovation. Influencer marketing budgets are on the rise but still only comprise less than 10 percent of overall marketing spend, according to a new report. 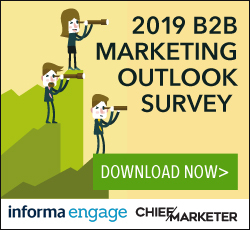 Nearly three-quarters of B2B marketers seek sales feedback when creating content, but only 42 percent are having conversations with customers as part of their research, according to a new report from the Content Marketing Institute. Half of B2B marketers lack confidence in the quality of their data, hindering adoption of ABM to increase engagement, according to new research from D&B. B2B sales and marketing teams need to focus on building —and measuring— the strength of their relationships in target accounts, according to a new report.